Located in the mountain range called “ Sierra Mariola”, Biar was once called Apiarium which comes from the Roman word for beehive because this area was rich in aromatic herbs which made for a very prosperous production in honey. 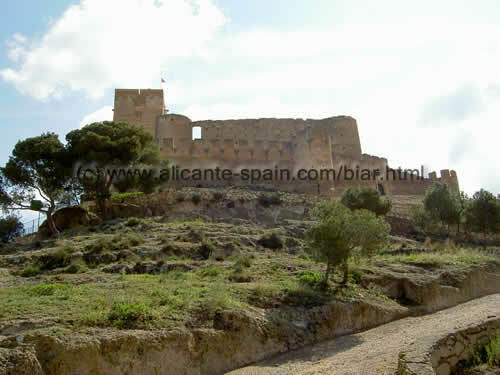 Having Alicante as our departure place, take the rural road marked A-213 until you come to the cross road marked A-210. 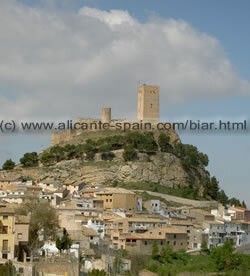 As you approach Biar you do not need to have eagle-eyes to contemplate its 12th century castle majestically overlooking this quaint village. The cleanliness really astonished me and the tasteful restoration which clearly maintained a close coordination with the historical buildings surrounding the existing ones was an immense pleasure. The streets’ names are nicely shown on ceramic street plates as well as saint icons that decorate the colorful houses and antique lamp-posts adorn the walkways. Like many castles which are set upon the city’s hill, you need to have comfortable shoes to make the climb up through the narrow curvy pebble stone streets. But it is so well worth the effort once you are there, closer to heaven and beholding these intense sights of the valley of Vinalopo. 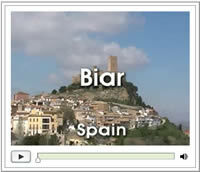 The city of Biar just west of Benidorm in the interior of the Costa Blanca coastline. The ‘Honour Tower’ ( Torre de Homenaje ) is among the Valencian heritages and exhibits an interwoven patterned vaulting over the arches that crisscross to form the center rosette which is an obvious detail that show us that it goes back to the mid 12th century. There are other levels where the Islamic architecture shows through and some additional features from the 15th century. In 1931 this was declared a National monument. From the castle you are able to see the parish church of the Assumption of the Virgin ( Asuncion del Virgen ) which dates back to the 15th century and the front of the building done up in a Levantine-Plateresque style and as you can imagine has gone through a lot but can still be quite striking. Inside there is a shrine dedicated to the holy communion and an excellent piece of a type of Baroque architecture. The town hall found in the Square of the Constitution ( Plaza de la Constitucio ) which nowadays is usually called ‘Ayuntamiento’ but here it still has the old Spanish word “Casa Consistorial” (town house council) on it. 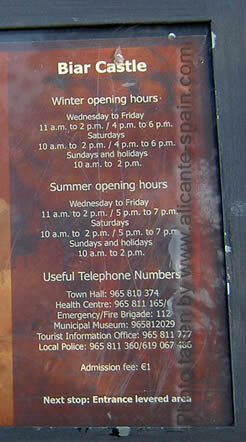 There you can also locate the tourist information office. Parts of the old town below the lovely castle. And even though you might think that this hidden away town is quite dormant, it is a leading producer in toys, blankets and iron wrought railings and associated home decorations. Keep in mind that the castle and its different opening hours between winter and summer time. It is just 1 euro to get in and definitely worth it..
As I mentioned before, ceramic and clay made into pots, crocks, large bowls, deep pans, jars, and washbasins can be bought in the shops called Ceramica Maestre on Camino de la Virgen Road and primitive versions seen at the Archaeological Museum on the Calle Mayor (Main Street) with free entry. 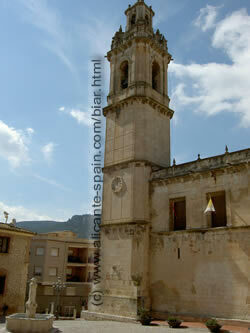 I have to admit that these small towns around the Costa Blanca are quite historical and relaxing. Sometimes it turns back the time for hundreds and hundreds of years. Especially when looking on so much old historic buildings. 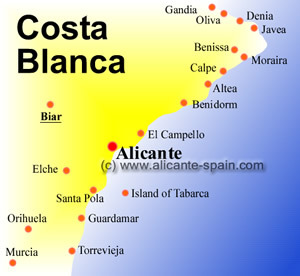 A visit to Biar is certainly worth considering, if you want a relaxing day off from sunny Costa Blanca beach life. Where To Pick Up and Drop Off Your Rental Car At Alicante Airport? How Do I Get To Alicante Airport? Click Here and Get these for Free - Here!